Interested in Focusing Workshops and Events? Focusing shows how to pause the on-going situation and create a space for new possibilities for carrying forward. This practice, developed from the Philosophy of the Implicit, shows how to apply open attention to something which is directly experienced but is not in words. Your body knows more about situations than you are explicitly aware of. For example, your body picks up more about another person than you consciously know. With a little training, you can get a bodily feel for the 'more' that is happening in any situation. From that bodily feel come small steps that lead toward resolution. 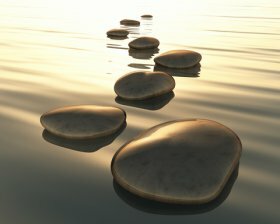 The Focusing Institute offers many resources, including well-developed instructions for accessing this bodily knowing. Please explore our site, where you'll find workshops, first steps for newcomers, a library and more. You are also welcome to contact us with questions. 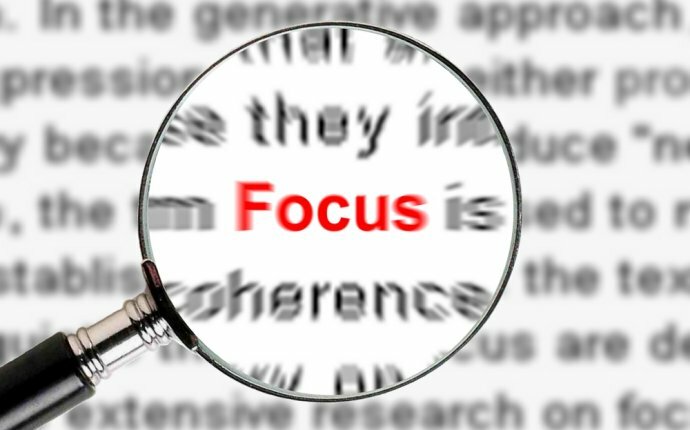 Focusing is supported by a long series of operational research studies conducted first by Gene Gendlin and colleagues at the University of Chicago and now internationally. You may be able to learn Focusing by reading the Focusing book, or working with one of more than 1000 certified Focusing trainers from 40 countries who are available on Skype or telephone for one or several hours of Focusing training. From our list you can also find a Focusing-oriented therapist who lives near you and speaks your language. You can also participate in one of our discussion lists, find a Focusing partner, and more. The Focusing Institute is making differences in communities all over the world. As you wait attentively, something forms inside you that is vague, indefinite, difficult to put into a words. You try to describe this sensation and maybe a sentence comes, or an image, maybe a word or two which describes this sensation, and lets you know that it has something to do with a certain situation or experience in your life. For instance, a depressing problem might cause you to say “I feel heavy, ” or “It’s like an empty cave inside, ” or “there’s a huge ball there, dark, fiery, no, it’s more like-” etc. This sensation in your body is called a “felt sense.” It lies behind your thoughts and feelings and is significant and full of meaning. It is a message from your body to you, and will speak to you when you listen. Contacting the felt sense is the important first step of Focusing. Focusing is the ability to stay with the felt sense as it develops, to look at it with curiosity, without judging. Focusing is the ability to welcome what comes, to maintain a friendly attitude to whatever is inside you. Focusing is the ability to listen to that place that is trying to tell you something and to be ready to be surprised. Staying with the felt sense helps you learn that which you don’t already know. As you pay attention to the felt quality of your current experiencing, you develop new expressions, words that are fresh, appropriate and alive. The felt sense talks to you in words and symbols that are not separate from your experience, but which evoke that experience for you in the present moment. That experience was below your awareness, but not below the awareness of the body. When in contact with this sea of experience which you carry in your body, you come to understand how you are living a situation, a relationship, a problem. As you search for a name for what you feel, there is often a wonderful result. Something inside you changes. You relax; your body is energized, grateful tears may come and a deep breath. This change, which is perceived directly in the body, is called a ”felt shift.” You feel better and different in a good way. Focusing gives you a better capacity to confront difficult situations and find creative solutions. Watch this video of a short Focusing Session with Certifying Coordinator Ruth Hirsch and our Executive Director Catherine Torpey. Read More About Focusing. Many people start by reading Dr. Gendlin’s seminal Focusing Book. (You might also want to read his helpful introduction, More about Focusing ) Another good beginning book is The Power of Focusing by Ann Weiser Cornell. These you can find, along with other books, DVD’s and audio tapes, in the Focusing Store. Six Steps. It is important that you become familiar with the basic steps of the Focusing process, so a description of the six steps included on this site. Phone Sessions. Call our office at 845-480-5111 or visit our online store to arrange for one to three individual telephone sessions with an Institute certified Focusing trainer. Groups and Classes. Attend an Institute workshop, locate a conference or workshop on the Bulletin Board, and/or participate in one of the informal Changes Groups near you. These groups consist of people who meet regularly to exchange Focusing time together at no charge. Note: You will need to contact these groups separately as each one may be organized a little differently or contact a Coordinator near you for more information. The Self-guiding instructions on this site are a useful short-cut once you have some familiarity with Focusing. @Jericho Drive: Strengths: Can focus, loves hard and strong, self-sacrificing, willing to learn. @Acosta I approve of your take at the WH; it takes 3-6 months to learn English (says the ESL/EFL teacher) so focus on other issues. Thanks!